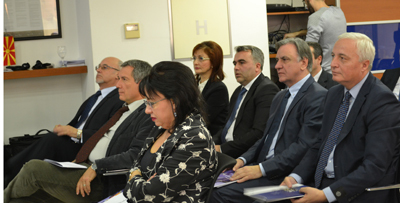 The official start of the Twining project “Further improvement of administrative capacities and external audit efficiency of the State Audit Office” was marked in the premises of EU Delegation in Skopje, in the presence of representatives of EU Delegation and diplomatic corps in the Republic of Macedonia, as well as representatives of the three project partners – Macedonia SAO, Bulgaria NAO and Croatia SAO. Welcome speech and opening remarks were given by Mr. Nicola Bertolini, EU Delegation representative, Mr. Naser Ademi, Deputy Auditor General of Macedonia SAO, Mr. Tsvetan Tsvetkov, President of Bulgaria NAO, Mr. Ivan Klešić, Auditor General of Croatia SAO and His Excellency Mr. Ivan Petkov, Ambassador of the Republic of Bulgaria. 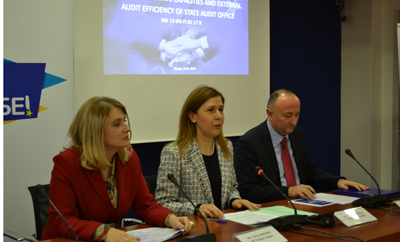 The main project objective is to further strengthen SAO capacities and efficiency for external audit through 4 main project components. 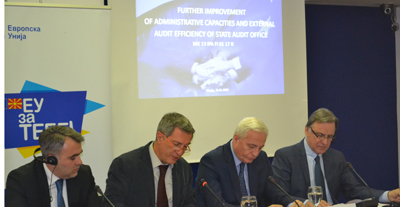 The project will involve SAO auditors and a pool of experts from several EU SAIs and the European Court of Auditors. The project implementation will contribute to achievement of objectives and results for better use of public funds and strengthening cooperation with the Parliament. The twining project will be implemented within 21 months with a projected budget of 1.400.000 Euro. 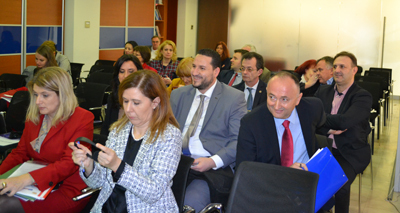 At the event the project was presented by the project leaders of the three partners: Ms. Vyara Angelova, Bulgaria NAO, Ms. Tanja Janevska, Macedonia SAO and Mr. Bozo Vuletic Antic, from Croatia SAO.